The sixteen (16) banks yet to meet the minimum capital requirement will have to expedite processes to tap into available options before the December 31 deadline hits them in the face. That is the advice from Banking Consultant, Nana Otuo Acheampong. He explains that since such major decisions will require time, it will be appropriate to hook unto the few months to maintain their positions. Nana Otuo Acheampong’s comments come on the back of the disclosure that fifteen (15) banks are set to meet the new minimum capital requirement. The Governor of the Bank of Ghana, Dr. Ernest Addison gave the updates when he addressed the Monetary Policy Committee’s media engagement on Monday [July 23, 2018]. Of this, six banks have already hit the mark, with some five others most likely to meet it. The remaining four banks according to the Governor, are on the way to meeting the new minimum capital level. “Per the data available to us, we have six banks that have met, four banks that are most likely to meet and another five banks that are likely to meet. So straight away you could say that at the very least we could have fifteen banks by the end of the year,” he stated. This means that there should be at least nineteen of the thirty-four banks to race against time to meet the December deadline. But since three banks; i.e. Premium Bank, Sahel Sahara Bank and GN Bank are in talks to merge, that should whittle down to sixteen (16), the number of banks expected to recapitalize to 400 million cedis. It is these banks that Nana Otuo Acheampong says they must resort to any of these three options as their chances of going to the stock market have been shut. “Either the banks find the 400 million cedis on their own, they merge with another bank to achieve the figure or they exit the universal banking sector. Some of the universal banks presently enjoy the 60 million cedis capital that was introduced in 2001 so therefore if they defer to the Savings and Loans category, they should be comfortable there,” he suggested. Banks to drop to 24? It is unclear the composition of the banks that have already met or in the process of meeting. Local banks are seeking an extension of the deadline to 2022. 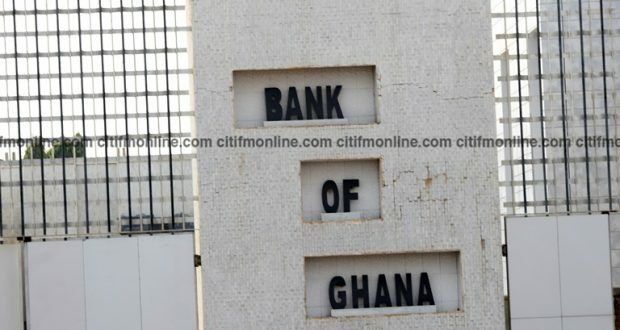 But Nana Otuo Acheampong tells Citi Business News he anticipates that the total number of banks could drop by ten, to 24 after the central bank completes its processes.